If you have ever run out of ideas for your blog or website, then Google Analytics have tons of wealthy info regarding your content that can provide traction and a new energy to your old content. 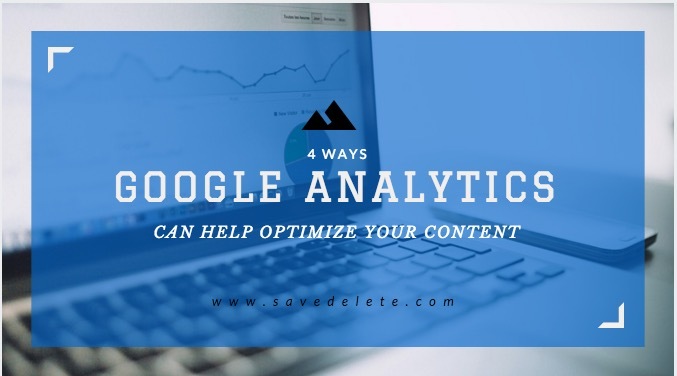 Not only you can optimize your old content but you have new content ideas with the help of Google Analytics. Let see how. You will be able to sort columns and see your content with preferred metrics given above. Like which page has most pageviews and which one has a long ‘time on site’ or user time. By using this data you can predict which type of post works better, for example, a ‘How to’ post is more popular or a ‘List post’. All of this can be detected from here. 3. Which pages send people, off your site. From ‘Behaviour > Site content > Exit Pages’ you will come to know about those posts or articles that result in most leaks, means the exit pages of your site. Now you know which pages visitors go out from, you can add a call to action feature or add a related posts widget or maybe edit those articles to write better in-depth content. 4. Find more about your Landing pages. Landing pages are those pages that people usually enter your site. They can be found at ‘Behaviour > Site Content > Landing Pages’. From here you can find the most popular content via social media, referral, organic search, other sites, etc. If you add another dimension, you will find the source/medium as well. This combined data you get and analyze will give you the idea of what is working better? A referral traffic, SEO or paid traffic. Google Analytics is one of the most helpful tools when it comes to content marketing strategy, so remember to add it to all your webpage or blog sites and to take as much output from your new and old posts.